Baby Costs > How Much Do Prenatal Vitamins Cost? How Much Do Prenatal Vitamins Cost? Most doctors suggest that pregnant women take a daily prenatal vitamin to supplement the nutrients they may be missing in their diet. These vitamins can also help in preventing birth defects in the child as well as preventing the loss of bone density in the mother. Prenatal vitamins can cost anywhere from $.03 per pill to $.65 per pill, depending on the brand and what is in the pill. Some of the brands that are cheaper per pill, however, can require taking more than one per day. On average, prenatal vitamins will cost $0.30 per day or about $9 per month. You can find a good selection here. Since it is recommended that you take prenatal vitamins up to three months before you plan to conceive and at least three months after you deliver, you will need prenatal vitamins for about 15 months. This will result in a total cost of $135. For example, a popular product such as the New Chapter Perfect Prenatal retails for $38 to $71. A gummy version of prenatal vitamin such as the Vitafusion Prenatal by Vitafusion retails for $11 to $15. Along with a normal multi-vitamin amount of everyday vitamins and minerals, a prenatal vitamin will contain folic acid, iron, and calcium. According to WebMD, folic acid can help reduce the chances of birth defects such as spina bifida. Most prenatal vitamins should include folic acid, calcium, iron, vitamin A, vitamin C, vitamin E, zinc, copper and omega-3 fatty acids. Be sure to check the label to see what’s included. Prenatal vitamins can come as a chewable pill, capsule or liquids. Women with allergies or special diet restrictions may need a more specialized prenatal vitamin. However, these kinds of prenatal vitamins can be quite a bit more expensive than regular vitamins. Women with a wheat allergy can take Food Source Gluten Free Prenatal Vitamins. Those who are vegetarians can take something like Vegan Prenatal Multivitamin. Women who choose to go organic have many choices including Rainbow Light Prenatal organic multivitamin. Prenatal vitamins are going to have side effects that include making one nauseous, constipation or a “nasty taste” if one burps. Set reminders when getting used to taking a prenatal vitamin. This reminder can be set on your phone, or you can relate it to things that you do during the day. For example, if you drink coffee each and every morning, put the vitamins next to the coffee pot. If you’re finding that the vitamins are too hard to swallow, ask your OB/GYN for alternatives. Many vitamins can be broken in half to make them easier to swallow. If experience side effects such as dizziness, try taking the vitamin at night so that the feeling happens when sleeping. Even after birth, doctors often recommend breastfeeding women to continue taking these vitamins. Some vitamins don’t mix well with some women. If you feel queasy or notice other side effects, consider switching to another brand. Many women who are pregnant often don’t consume the proper amount of nutrients, including folic acid and iron. The nutrient intake increases while pregnant, and it’s essential you receive the required amount. Folic acid, for example, the necessary part of fetal development. The American College of Obstetricians and Gynecologists recommends that a woman consumes at least 600 micrograms (mcg) of folic acid daily. Iron is necessary to create new blood cells inside the body. Since the blood volume increases, the Mayo Clinic notes a pregnant woman needs at least 27 mg of iron daily, which is 8 mg more than a non-pregnant woman. Lastly, calcium is needed to help lactating women keep their bones strong. There’s no best time in the day to take a prenatal vitamin. Some women like taking it before bed, while others like taking it in the morning. However, if you do feel nauseous after taking one, it may be best to take it during a meal. What is DHA in prenatal vitamins? DHA, known Docosahexaenoic acid, is an omega-3 fatty acid, which is often found in fish. 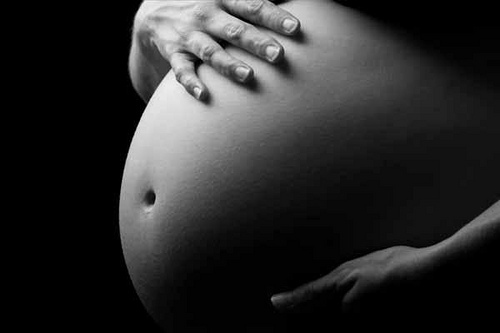 Pregnant women will depend on this fatty acid to help promote healthy fetal development. Since the average woman eats less than two ounces of fish per week, DHA will make sure pregnant women reach the recommended eight to 12 ounces. Buying store brand rather than name brand can often save quite a bit of money. However, be sure the brand you choose has all the essential ingredients by inquiring whether or not it is approved by the USP. Buying in bulk (for example, a bottle that contains 300 pills rather than 90) can save you money per pill. Getting a prescription from your doctor will allow you to claim the prenatal vitamins on your insurance. Check with your OB/GYN to inquire about samples. Many doctors are more than happy to hand out samples each time you visit. This is a great way to get your vitamins for free. Because it is not healthy to constantly switch prenatal vitamins, do research on cost before you begin taking them. Once you find one that is cost-efficient, try it for a week to give your body a chance to react to it. If you have no negative side effects, try to continue with that same brand for the remainder of your pregnancy.